Price from: Звоните! т. (044) 59-29-007. Посчитаем индивидуально! Profile Paint in any color to RAL, anodized (silver color), as well as the decoration of the profile under the tree. Mobile partitions are designed to optimize working space. They represent modules of different sizes, which are attached to each other connecting struts in a variety of configurations. Such partitioning is easy to move, dismantle, add new modules, and assemble in the new configuration. Modules mobile partitions are not fixed to the floor and ceiling. They maintain stability due to its geometry and mounting to countertops and other items of furniture. Modules help to create jobs each employee, for convenience and efficient operation. This system essentially separates only jobs, but employees are still working in the same space. – On top of the fabric used, which is resistant to sunlight, easy to clean. Under the fabric is enclosed foam, fabric cover enhances the sound absorption. – Material – MDF, decorated with environmentally friendly dyes acrylic water-based. – Non-standard materials: cork, leather, veneer, various fabrics, acrylic, composite materials, MDF with plastic, metal sheets, powder painting. The transparent portion may be a single, double. 3)Combined, combination of materials that fill the deaf and transparent modules. 1. Fast to install, can be easily disassembled and assembled in another configuration. 3.Nastolnye screens solve a partial problem of visual isolation. Desktop screens visually divide the space between the neighboring tables, creating comfortable working conditions, improve the workplace of each employee. With the help of screens increases efficiency of employees, improving the psychological climate. Desktop screens visually demarcate the territory of personal independence of employees. Desktop screens are widely used in open plan. Quickly and easily attached to the table, in the case of redevelopment desktop screens can be dismantled and installed to a new location. Thanks to its special construction, office furniture is not damaged. Attachment to the table using mounting kits. insert a monitor at a height of 350 mm. on average profile and hang up the monitor suspension elements. 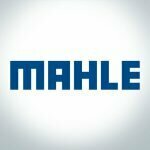 Representative office of "MAHLE Aftermarket GmbH"
Представительство "Мале Афтермаркет ГмбХ" в Украине выражает огромную благодарность компании "Техно-Альянс" за качественный сервис, прекрасное обслуживание и тчательное выполнение поставленной задачи. Сроки были очень сжаты, но благодаря оперативной работе менеджера Татьяны и всей команды задание было выполнено вовремя! С уверенностью рекомендуем Техно-Альянс как уверенного и надежного партнера! 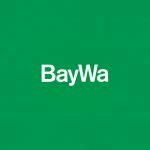 Baywa Marketing and Trading International B.V.
Наша компания приобрела помещение под офис, и нужно было сделать ремонт, установить стеклянные перегородки. Долго думали, с кем сотрудничать по этому вопросу. Хотелось качественный вариант, чтобы потом не переделывать через несколько лет. Посмотрели на сайте образцы работ Компании Техно-Альянс. И нам понравились и цены, и качество. Остались довольны работой. А наши клиенты и посетители офиса всегда спрашивают, у кого мы заказывали перегородки. Впервые работали с этой компанией и остались довольны! Консультировали и давали советы, искали возможности, чтобы осуществить все наши пожелания. Особенно порадовали ребята монтажники, которые не оставляли после себя мусора, все убирали и только потом уходили! Спасибо!